She ain't afraid of no reboot. 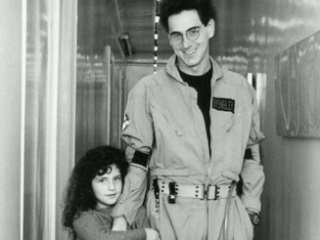 For Splitsider, the daughter of Harold Ramis has detailed several fantastic scenes from her circa-1984 childhood in Santa Monica, Calif. She was seven at the time, and during that summer and fall, her life was doubly dominated by the U.S. pop culture event of the moment. Of course, [for Halloween] my dad offered to get me a jumpsuit and proton pack, but I opted for Cyndi Lauper that year – sprayed orange hair, lacy petticoat and jelly sandals. My dad, always a good sport, escorted me around the neighborhood carrying a small boom-box blasting “Girls Just Wanna Have Fun.” Of course, I could kick myself now for the missed opportunity of a father-daughter Ghostbusters dress-up moment but it’s OK. I stand by my Cyndi Lauper and look at it as an early display of feminist non-conformity. The irony of course is that this coming Halloween, because of the movie’s gender switch, there will be a ton of little girls leading the Ghostbusters costume way. Ramis Stiel reveals that watching Paul Feig’s Bridesmaids at the hospital, by her dad’s bedside, and seeing him “shaking with laughter” remains one of the happier memories of dealing with her father’s battle with illness. There’s much more to savor in this Splitsider guest piece, including what it was like to be picked up from school in 1984 once the Ghostbusters mania hit. Ramis Stiel, who lives in New York, has a nine-year-old daughter and is at work on a book about growing up with her dad. Bottom line: she ain’t afraid of no reboot, and urges readers to try and do the same. Maybe on Oct. 31, mom can book end that missed trick-or-treat opportunity of yore by combining with her daughter to represent half the 2016 Ghostbusters team. 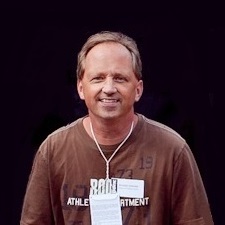 Below is a Father’s Day song Ramis Stiel wrote this year for dad.